Father’s Day 2016 is now three days away; have you made your plans? Here are details on a few options in Santa Cruz and nearby including restaurants and wine events. If you missed my first Father’s Day post, here are highlights for San Francisco, Monterey/Carmel Valley/Pebble Beach. The Chaminade (One Chaminade Lane) serves a decadent Father’s Day brunch buffet from 10 a.m.-1:30 p.m; the price is $52.95 (adults), $18.95 (kids 6-12), and free for kids under 6. The menu includes grilled steak with Churassco sauce, prime rib, an omelet bar, eggs benedict, cheese blintzes, fresh fruit, a cheese display, and a delectable selection of pastries and desserts. Children’s dishes include chicken strips and curly fries, mini pancakes, and macaroni and cheese. Call (831) 475-5600 for reservations. All day Saturday and Sunday June 18-19, it’s the first of the Food Lounge’s summer beer garden series. Each month, on the third weekend, the lounge, FL will serve German-style food and local beer on the spacious outdoor patio. There will also be live music, and it’s pet- and family-friendly. Free admission; attendees just pay for food and drinks. All dads who visit the Summer Beer Garden from 11 a.m. to 2 p.m. on Sunday receive a free gift. 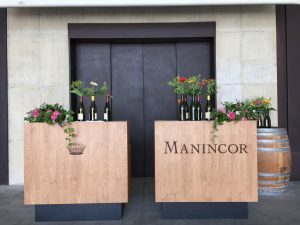 Soif Wine Bar & Restaurant (105 Walnut Ave.) will host European winemakers Johannes Selbach and Vincent Brundlmayer 1-3 p.m. Sunday for a taste of German and Austrian wines, including Rieslings. Tickets are $15 and include bread and snacks. 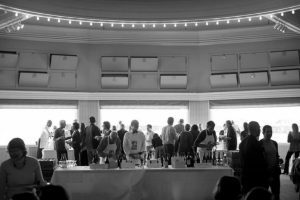 Wine club members get one free entry. 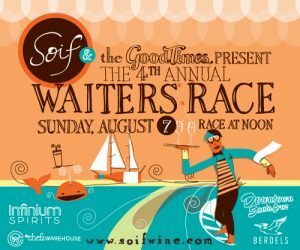 Call (831) 423-2020 or email alyssa@soifwine.com to reserve a tasting. While the Haute Enchilada Café (7902 Moss Landing Rd., 831-633-5843) doesn’t have a special “Father’s Day menu,” it would still make a great place for Father’s Day lunch. I ate lunch there in March; it was a perfect stop during a drive from Santa Cruz to Carmel Valley and I really enjoyed the food (as I have the other times I’ve gone, once for lunch and once for dinner). During my March lunch, I ordered roasted chile poblano bisque and Brussels sprout salad. For the salad, locally grown sprouts are steamed and sautéed in olive oil with garlic, and mixed with organic arugula, bacon, Parmesan, toasted walnuts and walnut oil/chile de arbol dressing. I had a bite of my husband’s Pork Cubano during lunch and it was equally divine. I have to also mention a fantastic dish that I had during an August 2015 dinner: Peruvian empanadas stuffed w/squash blossoms, zucchini, ricotta and topped with chile de Arbol aioli. Looking at the web site just now, it appears this is currently on the lunch menu and not the dinner menu. Another note of interest: Haute Enchilada recently received a 2016 Certificate of Excellence from TripAdvisor.The achievement celebrates hospitality businesses such as eateries and accommodations that have earned great reviews on TripAdvisor over the past year. To qualify, a business must maintain an overall TripAdvisor “bubble rating” of at least four out of five, have a minimum number of reviews and must have been listed on TripAdvisor for at least 12 months. 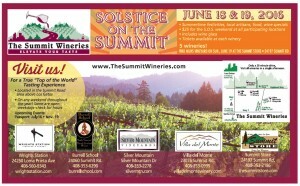 The Summit Wineries are offering the fifth annual “Solstice on the Summit” Vintners Festival on Father’s Day weekend. Hours are noon to 5 p.m. Saturday and Sunday, June 18-19. 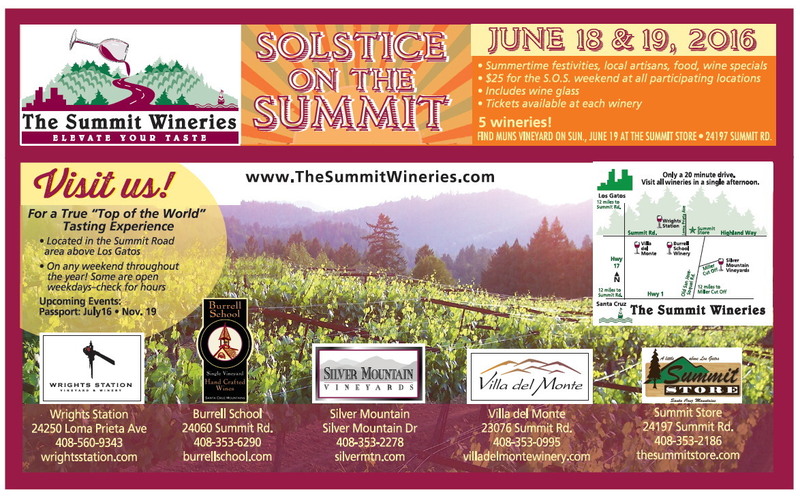 A $25 ticket includes a wine glass and is good for admission both days at all five participating wineries (Burrell School, Silver Mountain, Villa del Monte, Wrights Station, and Muns Vineyard—the latter will be at The Summit Store on Sunday only). There will be food, wine tasting, local artisan gifts for sale, live music and tours. Tickets are available from any participating winery. 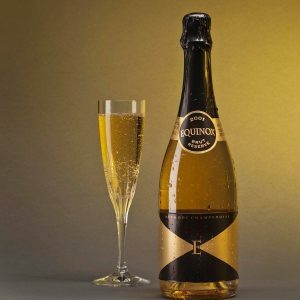 For more information including a list of what is happening at each winery, visit the web site. There are many food events occurring this weekend in local cities such as Santa Cruz and Scotts Valley—here are details for a first-time Scotts Valley food truck event Friday and a benefit feast with star chefs at Homeless Garden Project Saturday. Food Trucks A Go Go, a food truck event company, is hosting its first food truck event at Skypark in Scotts Valley Friday night. Attendees can choose from four local trucks, and there are picnic tables at the park. Participating food trucks are Ate3One (Philly cheesesteak, tacos & more), Zameen Mediterranean (falafel, gyros, etc. ), The Choke Coach (menu includes artichokes a la carte and as ingredients in other dishes), and Aunt LaLi’s Mobile Café (ice cream and sweets). Aunt LaLi’s owner, LaLi Kates, has been bringing her treats to the local community for years, and she is the founder of Food Trucks A Go Go. Kates says that for years, both she and her customers have been wanting food trucks in the area, and that the timing is now right to make this happen. Save the date for the next Go Go Gathering: Friday, Oct. 23, same time and place. Date/Hours: Friday, Sept. 18, 4:30-7:30 p.m.
Santa Cruz’s Homeless Garden Project (HGP) is holding an organic benefit dinner at its farm, the latest in its Sustain Farm Dinner series. 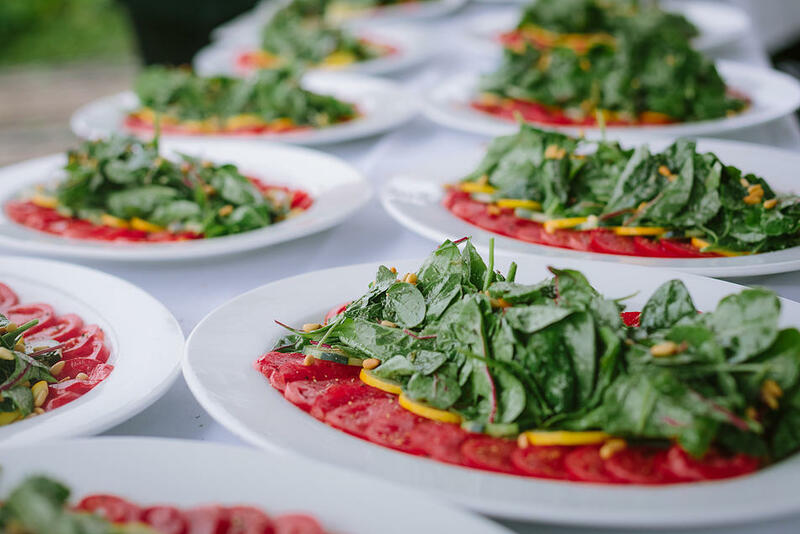 Sustain is a seasonal gourmet dinner series featuring organic produce from the farm, wine pairings, and guest speakers discussing sustainable topics. The admission fee, $125, benefits HGP; the prices are higher this season because HGP is celebrating its 25th anniversary so the dinners are more extensive and the speakers are nationally known. The dinner held in August featured Greens Restaurant founder Deborah Madison, and Catherine Sneed is Saturday’s keynote speaker. Sneed began the horticulture program at the SF County Jail in 1982. Read more and purchase tickets online. A different chef will prepare each of the four courses. David Morgan, chef for David Kinch’s soon-to-open The Bywater in Los Gatos (read more in my recent article) will prepare a first course duo: fried green tomatoes, bagna cauda and ricotta cheese; and smoked pork boudin with mustard and pickles. The Food Lounge’s Andrea Mollenauer will prepare a salad for the second course, while Soif’s Mark Denham will create an entrée of tea smoked quail, quinoa & kale “fried rice,” spiced eggplant, blistered padrons, and chimichurri (vegetarian and vegan options are available if ordered ahead). Renowned Aubergine pastry chef Ron Mendoza is providing dessert: Japanese cheesecake with carrot and cilantro. There will also be live classical music performed by a quartet comprised of musicians from the Santa Cruz Symphony. 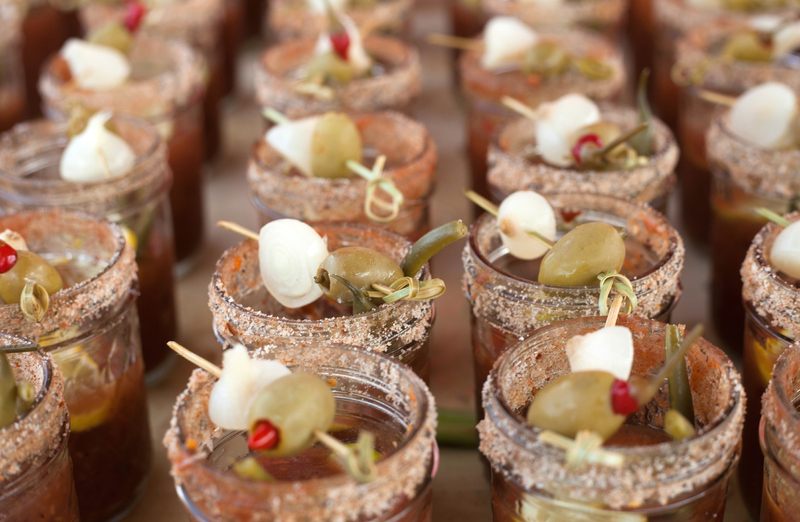 Date/Hours: Saturday, Sept. 19, 4-7:30 p.m.
Bloody Marys from Chef Brad Briske, at the 2014 pop-up breakfast series. 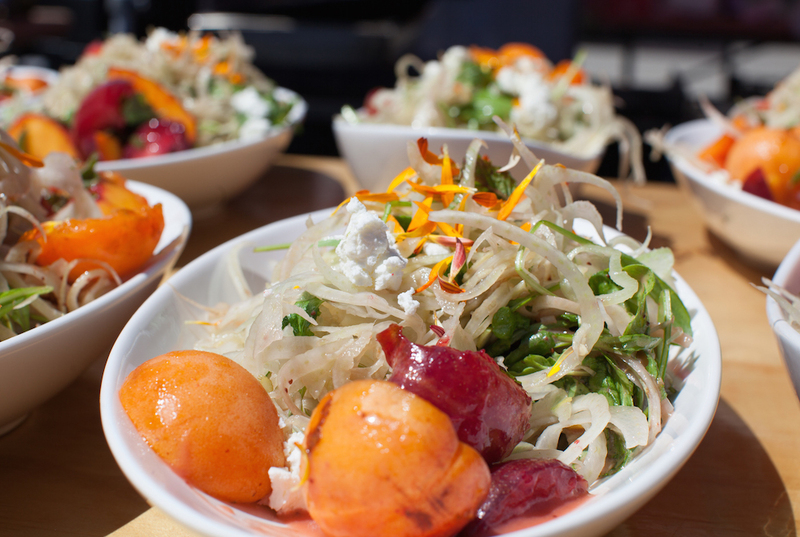 The summertime pop-up breakfast series at the Westside Santa Cruz and Scotts Valley farmers markets is in full swing, with the next event this Saturday, July 18 in Scotts Valley. There is limited seating; tickets are $36 and are available for purchase online and at the markets. Different local chefs are featured at each event; this Saturday it’s Kevin Koebel of Local FATT—see menu below. 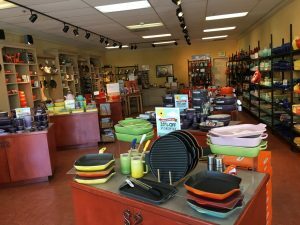 The August 22 breakfast features chef Mark Denham of Soif Restaurant & Wine Bar, and chef David Jackman of Chocolate is cooking for the September 12 breakfast. Both are at the Westside market; see web site for full menus. Graduates of Santa Cruz’s Food, What?! youth empowerment program provide service at the events. Upon arrival, attendees choose their seats by placing their own plate and silverware at a space along a u-shaped, family-style table. A local band provides music while guests drink a hot beverage and await the first course. 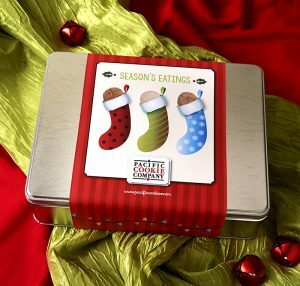 At 10 a.m., plates of seasonal cuisine made with ingredients sourced from the markets begin rolling out. As the guests eat and visit, farmers and chefs share their knowledge and perspective regarding agriculture, community and consumer choice within the food system. The first summer series occurred in 2013, and it draws more and more fans each year. The 2014 Pop-Up events sold out well in advance. These farm-to-table meals are hosted at the Westside and Scotts Valley Markets between June and September. The June event at the Westside Market featured Kendra Baker and Carlo Espinas of Assembly, the Penny Ice Creamery, and Picnic Basket. As a market spokesperson states, “the goal of these ticketed, outdoor, events is to highlight our rich local agriculture and food artisan community while raising funds for the markets’ public educational programs including the Foodshed Project.” For more information call 831-325-4294 or email education@santacruzfarmersmarket.org. Read more about the Santa Cruz Farmers’ Markets at santacruzfarmersmarket.org.